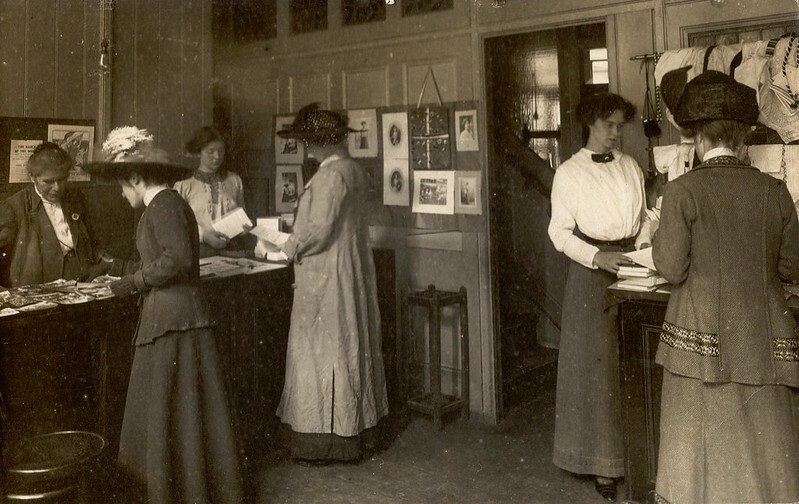 In 1906, the Women’s Social and Political Union (WSPU) moved from Manchester to London, and specifically to Emmeline and Frederick Pethick-Lawrence’s apartment at Clement’s Inn, writes LSE curator Gillian Murphy. Eventually the WSPU occupied 27 rooms within the building, before a split in 1912 saw the WSPU move around the corner to Kingsway. Today, the site at Clement’s Inn is part of LSE’s campus. Clement’s Inn was the London home of Emmeline and Frederick Pethick-Lawrence. 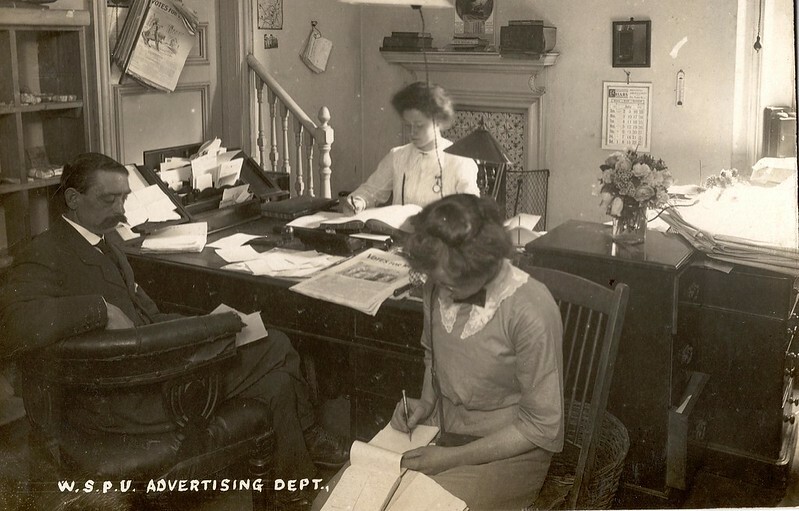 It was near to the offices of the Echo, a newspaper edited by Frederick, and became the London headquarters of the Women’s Social and Political Union (WSPU) in 1906. 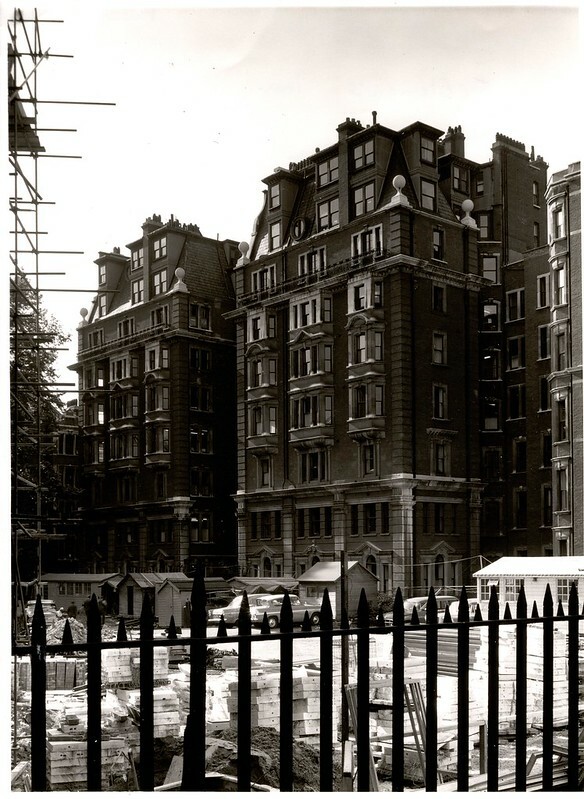 This is an image of Clement’s Inn taken in the 1960s before it was replaced by what became LSE Tower 3. Emmeline’s autobiography also provides lots of detail about her involvement in the WSPU, an organisation led by Emmeline Pankhurst. 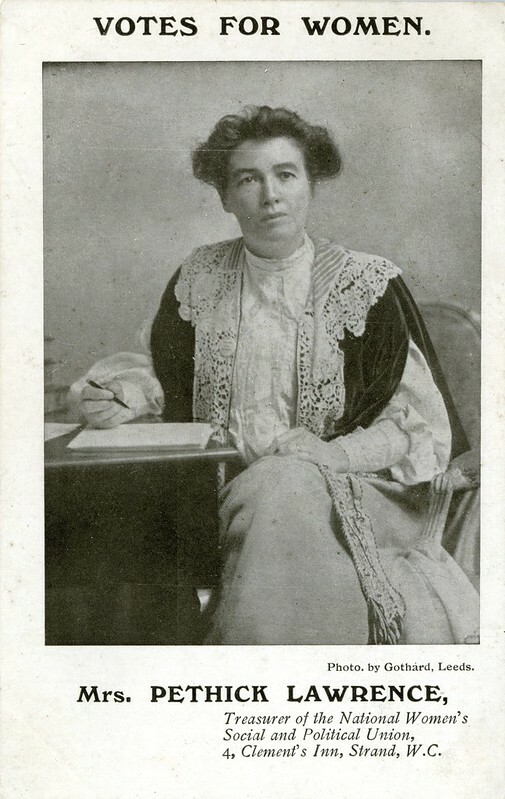 It was Keir Hardie who first encouraged Emmeline Pankhurst to call on Emmeline Pethick-Lawrence in February 1906 because she would, perhaps, find “a practical and useful colleague” who could develop in London her new society founded in Manchester three years before. Keir Hardie also sent Annie Kenney, a mill girl from Oldham, to see Emmeline Pethick-Lawrence in Clement’s Inn. There was something about Annie that changed Emmeline’s thoughts about the WSPU. She agreed to meet the WSPU committee at Park Walk where Sylvia Pankhurst was staying. Out of this meeting, the Central London Committee of the WSPU was formed and Emmeline Pethick-Lawrence was its treasurer. 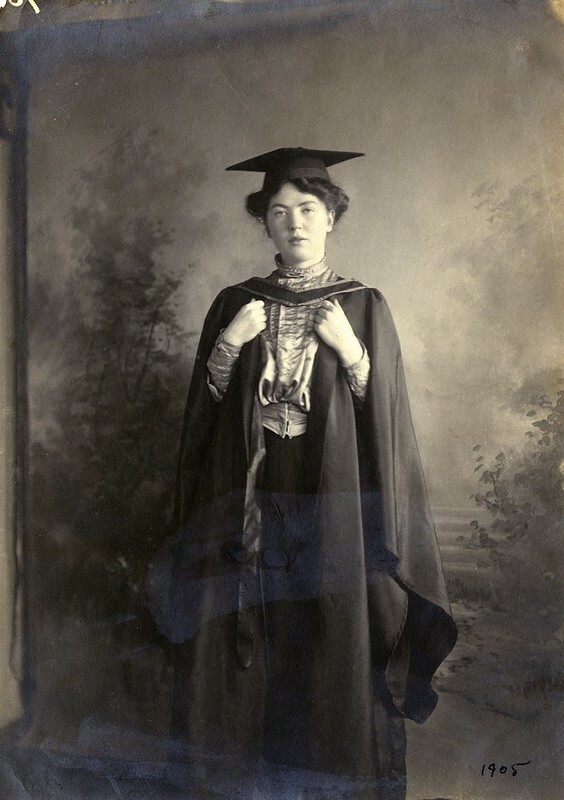 However, Emmeline Pethick-Lawrence found that the WSPU had no office, no organisation, no money – no postage stamps even – and the fate of the group fell to her. 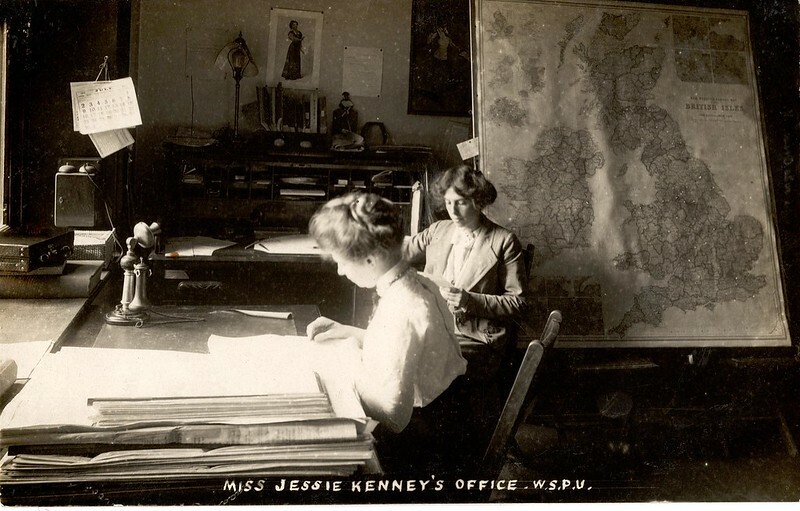 She gave them a room in her residential apartment in Clement’s Inn which became the first office of the WSPU and her secretary typed the business letters for them. Before they could rent further premises, they needed to raise funds. Frederick Pethick-Lawrence gave the first donation; Keir Hardie sent £100 collected from friends. Gradually, Emmeline and Frederick were absorbed into the whirlpool of the WSPU. 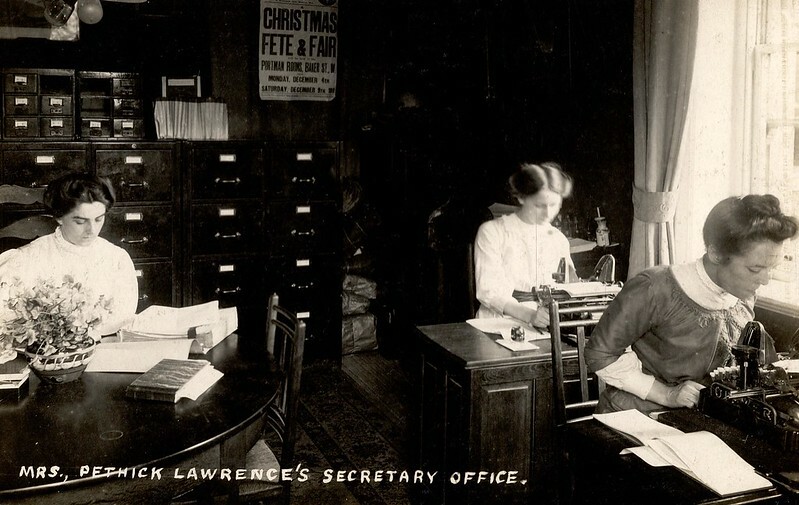 After taking her law degree with first-class honours in June 1906, Christabel Pankhurst moved to London and lived with the Pethick-Lawrences in Clement’s Inn, and for the next five years, she, and the Pethick-Lawrences, managed the business and the finances of the WSPU. By relocating to London, the WSPU were now at the political heart of the nation and the suffrage campaign became highly public. On 11 October 1908 a mass meeting was held in Trafalgar Square and the WSPU leaders called for the crowds to “rush the House of Commons”. This ended with a summons for the arrest of the speakers, Christabel and Emmeline Pankhurst, along with Flora Drummond. 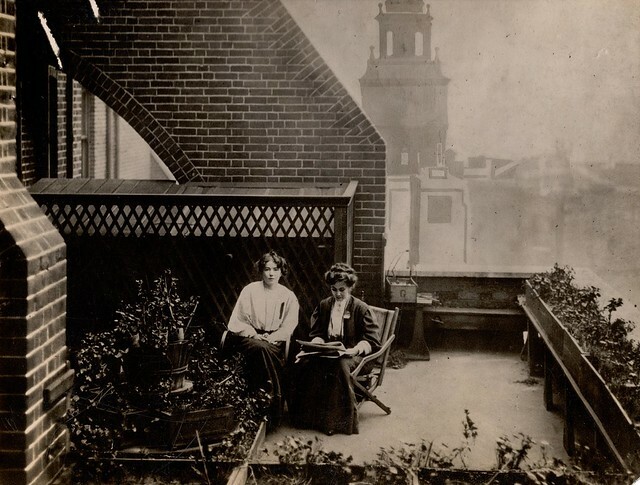 Before arrest, Christabel and Emmeline hid on the roof of Clement’s Inn. 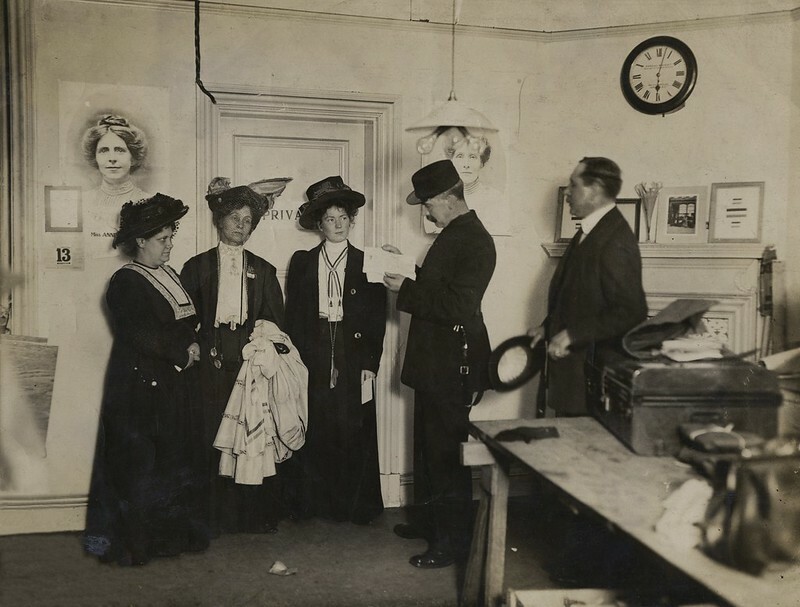 At 6pm, the women entered the WSPU office and gave themselves up to Inspector Jarvis. Clement’s Inn became the centre of the militant suffrage campaign, eventually occupying some 27 rooms in the building. Year by year new offices were added and departments were scattered over practically every floor. 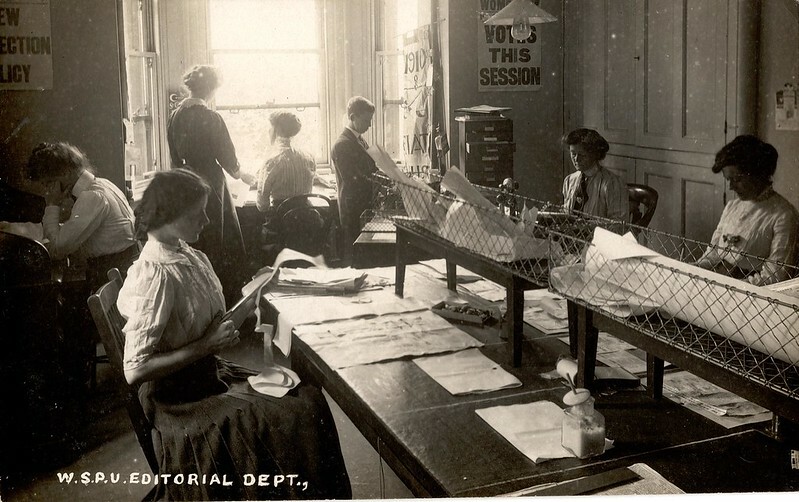 The Women’s Press, printing its newspaper Votes for Women, even had to be moved out. The operation was enormous and all administrated by paid employees and volunteers. In 1912, the Pethick-Lawrences and the Pankhursts differed over militant tactics of the WSPU campaign ending with the Pethick-Lawrences being ousted from the WSPU. 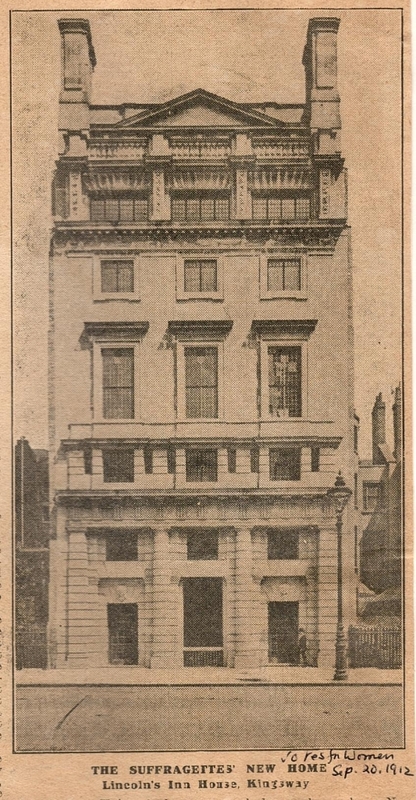 The WSPU headquarters moved into Lincoln’s Inn House in Kingsway.